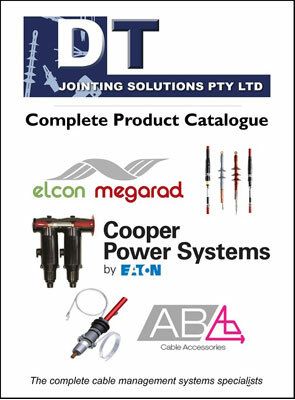 DT Jointing Solutions are proud to be able to offer a comprehensive range of Separable Connectors, Joints, Terminations, Tooling, Fault Indicators, Cleaning Wipes and various accessories to suit the Australian and New Zealand markets. The aim of DTJS is to provide a comprehensive high quality solution at sensible prices. This includes cable trays, cable cleats, cable itself and connection possibilities up to 550kV. Only the best brands possible are represented and stocked in Melbourne and Wellington (NZ). DT Jointing Solutions offer personalised service with availability 24/7 . When you try our product and experience our service, you will wonder why you did not make the change sooner. Credit Card and EFTPOS facilities also available.